IntersectTO is what the intersection of tech and local activism looks like in Toronto. 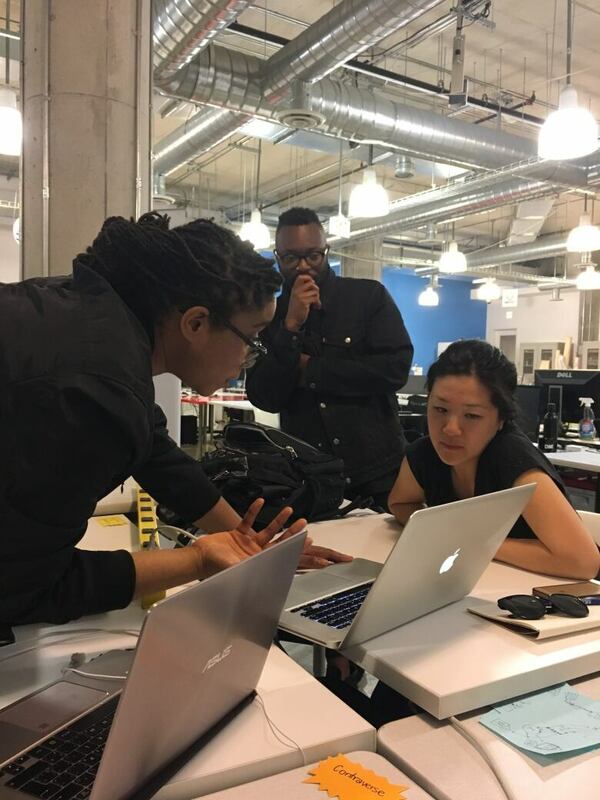 Created by Toronto-based technology professionals Lorraine Chuen and Lequanne Collins-Bacchus, the group made up of artists, academics, activists, and tech workers based in Toronto who also identify as black, Indigenous, and people of colour, is a response to the tech industry problem of diversity and inclusion. For example, a Toronto-based innovation hub, MaRs Discovery District found earlier this year, that the majority of people looking for work in the tech and innovation sector are visible minorities. The report surveyed nearly 600 technology job seekers, and found that a 63% majority were visible minorities, while 56 per cent of them were born outside of Canada. The report suggests a lack of attraction and retention of diverse tech workers. In Silicon Valley similar issues are going down. An article written by a former Facebook employee, Mark Luckie, went viral this week. It's called: Facebook is failing its black employees and black users. And in it, Luckie explains that there's still work to be done at the tech giant. IntersectTO is a DIY community situated on the URL and IRL. They create community events for people with shared experiences to learn and discuss issues on technology and social justice. But, the events are open only to black, Indigenous, and people of colour (PoC). It's a growing practice in trying to create safe spaces for many underrepresented. 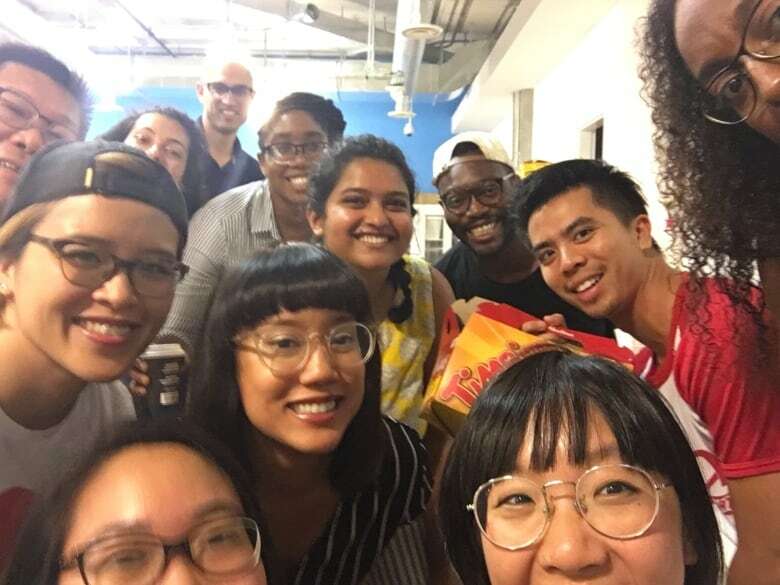 As to why IntersectTO caters their events specifically to black, Indigenous, PoC, they say it is something that is needed to better foster what technology employers fail to provide their racialized employees. For that reason the group emphasizes teaching people about digital rights. But first, what are digital rights? Nasma Ahmed is the director of the non-profit tech firm, Digital Justice Lab in Toronto. She spoke with host Nora Young about the ways young people are understanding digital justice and learning about Sidewalk Toronto, a test-bed plan to make part of the city "smarter". According to Ahmed, digital rights include a plethora of ideas surrounding privacy rights, access, equity, surveillance, and technology. Who is IntersectTO and why are they making local tech events? Alongside Chuen and Collins-Bacchus, IntersectTO is run by co-organizers Aljumaine Gayle and Hazelmae Valenzuela. However, local meet-ups are also coordinated and supported by fellow IntersectTO community members. Here is some of what Cheun, Gayle, and Valenzuela had to say to Spark about their group. The following has been edited for clarity and time. Why do digital rights matter to you? "What really really drives me to care about digital rights is that we're not the only ones who can control our information anymore." "It's so hard now to divide ourselves from our physical selves and our digital selves. Our information provided through technology, social media, or public devices, can be used to track, surveil, and monitor us." Why create a space specifically for racialized people? 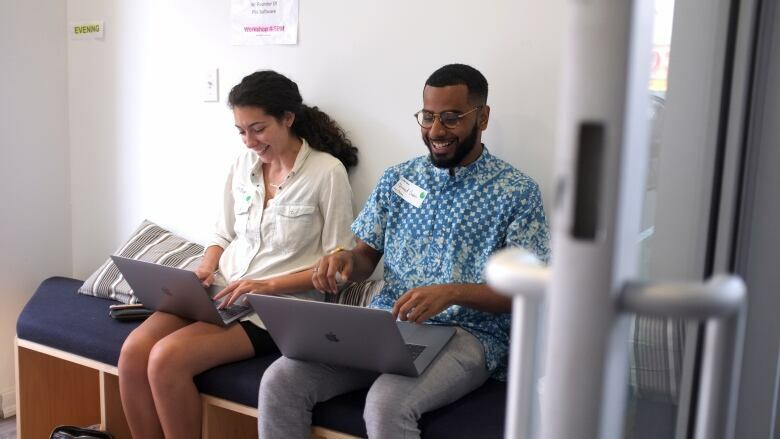 "(It's) a possible vision of an online and in-person space where black and Indigenous and people of colour can learn technology skills and find collaborators and hold critical discussions on technology and how it affects communities of colour. For me that was very exciting. We collectively as a group got the opportunity to share ideas. Through many discussions and conversations, we at the same time got the opportunity to share and be vulnerable and heal." "Something that we found is that diversity [and] inclusion has become a bit of a trendy term lately. Some of the conversations around inclusion are depoliticized in a sense, so as we're talking about digital injustice, we really want to have a space for folks to have conversations around the political ramifications of technology. So, having a space to talk about how things like algorithms that seem to be objective can reflect racial biases, or how certain technologies like surveillance tech disproportionately affects racialized communities and people." What sort of discussions is IntersectTO having? "Is everyone able to participate in this space? Is technology being used to create more than just a tech space? ... Is tech reproducing racism, sexism homophobia, in itself? Is tech a space that welcomes everyone or are we just talking about diversity and inclusion, just for diversity and inclusion sake? That's another topic and another story, but I think digital justice touches on these important questions."